The Land Rover Africa Cup returns this spring to the prestigious Inanda Club, situated in the heart of Sandton. The Land Rover Africa Cup, a unique knockout polo championship, now in its 6th year, offers an action-packed day for polo lovers, which will include a display of exceptional horsemanship. The 2016 tournament, which will take place over the weekend of 16 - 18 September, will feature some of Africa’s top polo players & teams up against their South African counterparts in an enthralling weekend of polo. “Hugely successful in previous years, the Land Rover Africa Cup continues to provide a platform for exciting and dynamic polo action. We are continuing to grow and expand this tournament into one of the biggest Polo Tournaments on the Continent”, says Paul Oosthuizen, Inanda Club General Manager. 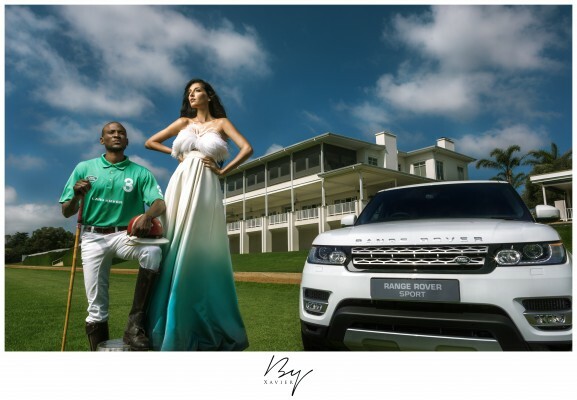 “The Annual Land Rover Africa Cup is a glamorous event, quintessentially polo and complements our vehicles perfectly. To that end it provides us with the ideal opportunity to showcase the New Range Rover Evoque Convertible ahead of its local launch and in it’s natural habitat – amongst the luxurious Inanda setting,” comments Lisa Mallett, Marketing Director, Jaguar Land Rover and sub-Sahara Africa. Land Rover, the title sponsor, together with the City of Johannesburg the host city partner, invite polo enthusiasts to savor a mix of sportsmanship with a blend of luxury design and VIP experiences. “As the City, each initiative we put our weight behind needs to benefit all residents and the developmental aspect of this tournament addresses just that,” says MMC Mathang. He says over the years the Polo Development Programme has created several opportunities for talented but underprivileged players to participate in a sport that is considerably expensive and flourish as true professionals. “Inanda Club has made considerable gains in driving this transformation to make polo more accessible to the broader public,” says MMC Mathang. The theme this year is ‘Quintessential Polo – Above & Beyond’, inspired by the Range Rover Evoque it resonates the quality, class and a lifestyle appreciated by polo enthusiasts. Fashion aficionados will enjoy a carefully curated experience as they gather on the scenic Inanda clubhouse terraces to witness quintessential spring trends created by top African fashion designers. Public tickets can be purchased from TicketPro from 01 June 2016.